If there’s one thing Cactus Watches understands, it’s the difficulty of finding your child’s first watch. That’s why they decided to make things easier. Since 2006, the Australian company has been making children’s watches that are designed to last – they’re tough, durable, trendy and aim to make learning to tell the time that little bit easier for your child. 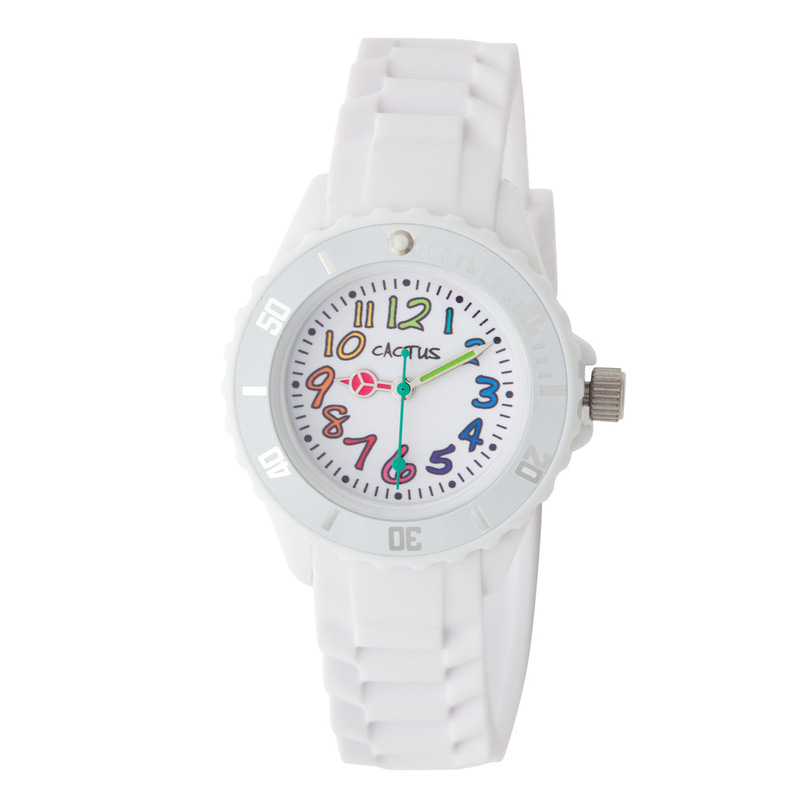 Telling the time doesn’t have to be difficult – the Cactus Watches White Time Tutor Watch is here to make your child’s learning as straightforward as possible! Featuring a series of numbered marking, this watch is a great way to make clock faces a bit easier to understand. The quirky design – including some brightly coloured numbers – also helps make the learning process a bit more fun as well. Watch band made of silicon. Aimed at children between four and nine years. Numbered markings make the learning process more straightforward. Presented in a quirky Cactus Watches lightbulb case.